The Witcher 3: Wild Hunt - an upcoming action-RPG from CD Projekt RED - is one of the most anticipated games of 2014. Recently, Marcin Iwinski - the company's cofounder - has answered on lots of interesting questions of IGN journalists, revealing exciting The Witcher 3 news. 1. You don't need to play the first two instalments in the series to understand the plot of The Witcher 3. Of course, all projects are connected, but lots of details will be revealed and explained at the beginning of the upcoming game. 2. However, the developers are planning to release several comic books, which will help gamers to get to know more about this game and series. Also, as we reported earlier, The Witcher Adventure Game is coming. 3. 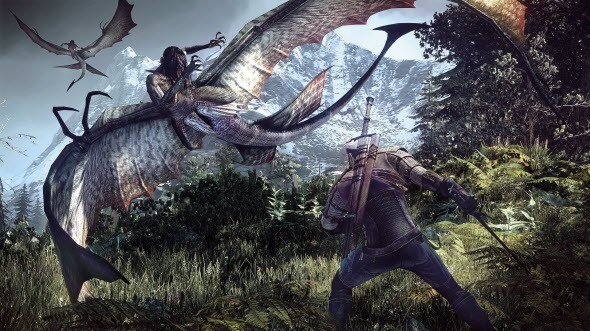 CD Projekt RED is going to present gamers many side quests, which will be very different. Moreover, the developers want to create a personal story for each task, so you won't be bored passing them. 4. To finish the main storyline, you will need to spend about 50 hours. Together with the side quests the game will take about 100-120 hours of your time. 5. Monster hunting will be at the center of the plot, so the series will return to its roots. 6. Your decisions will influence on the plot, on the side quests and on the ending. The developers have prepared 36 (!) various finales of the game. 7. The Witcher 3 won't get the multiplayer mode, but the developers want to release a kit, which will help modders create their own adventures for this project. 8. The game will be developed only for PC and next generation of consoles. CD Projekt RED is sure that the difference between old and new gaming stations is too big, so they would need to create another game for Xbox 360 and PS3 that is not reasonable. There are all The Witcher 3 news for today, but stay tuned with GameSpace in order not to miss the fresh details from the gaming industry.